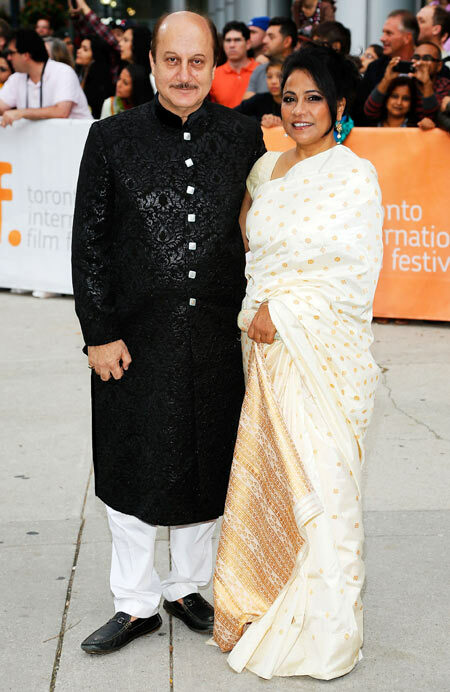 Indian stars made their presence at the ongoing Toronto International Film Festival recently. 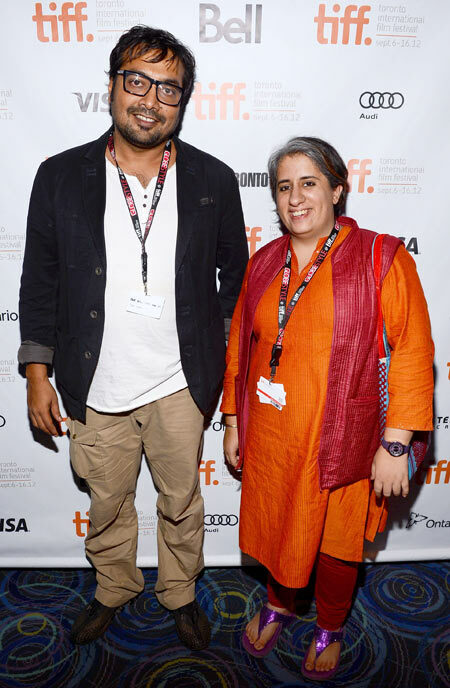 While Anurag Kashyap was there for the screening of his film Gangs Of Wasseypur 2 with producer Guneet Monga, it really was the team of Deepa Mehta's screen adaptation of Salman Rushdie's Midnight's Children that stole the show. Here's looking at the grand attendance from the films' stars. Dressed in an eye-catching Sabyasachi lehenga, Shahana Goswami looked resplendant at the film's premire. The actress plays Mumtaz/Amina in Deepa Mehta's Midnight's Children, protagonist Saleem Sinai's mother. Actress Shriya Saran, who plays Parvati in Midnight's Children, went desi too for the premiere in a gorgeous hot pink Manish Malhotra lehenga. 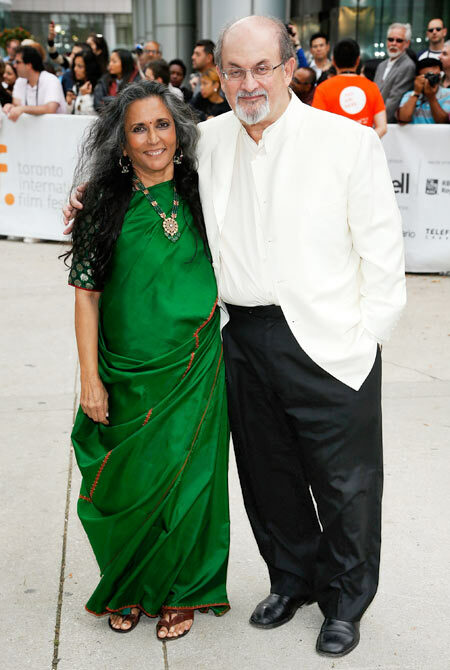 Filmmaker Deepa Mehta posed for pictures with author Salman Rushdie, who looked pretty pleased to be at the premiere. Rushdie's acclaimed novel was published in 1980, over three decades before Mehta decided to make a screen adaptation of it. Acclaimed Indian actors Anupam Kher and Seema Biswas, who play Ghani (Saleem's great grandfather) and his nanny Mary Perreira respectively. Actors Rahul Bose, Anita Majumdar and Samrat Chakrabarti arrived together at the premiere. Bose plays General Zulfikar, Saleem Siani's uncle while playwright/actress Majumdar plays his wife Emerald and Chakrabarti plays a street entertainer who plays the accordion. 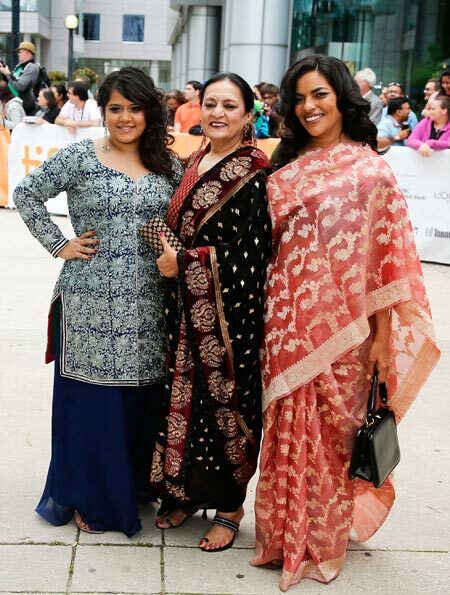 Actresses Shikha Talsania, Dolly Ahluwalia and Sarita Choudhury arrive at the premiere. While Talsania plays Alia, Choudhury plays the prime minister in the film. The BEST Star Family Photos!